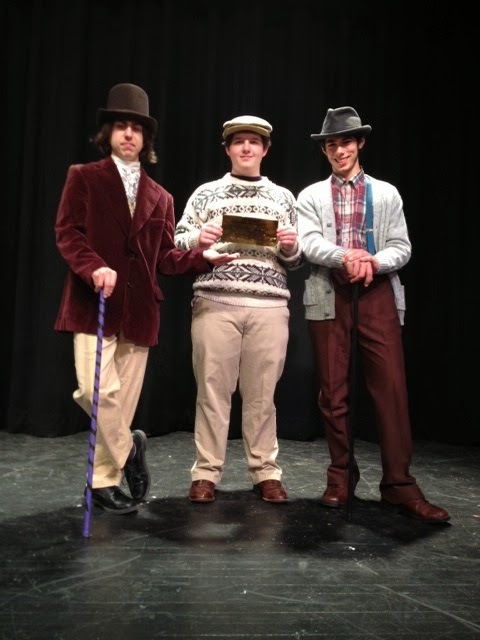 Willy Wonka at the Lyons High School on March 14th and 15th at 7:30 p.m. and March 16th at 2:00 p.m..
Willy Wonka, based on the children’s book Charlie and The Chocolate Factory by Roald Dahl, is a favorite of both children and adults. It is about a chocolate maker, Willy Wonka (played by Alex Calvo), who is ready to retire and needs to find someone to leave his factory to. He decides to hold a contest to find a deserving child to “win” his factory. Reporter, Phineous Trout (played by Alex Spink), interviews each child who found a golden ticket. 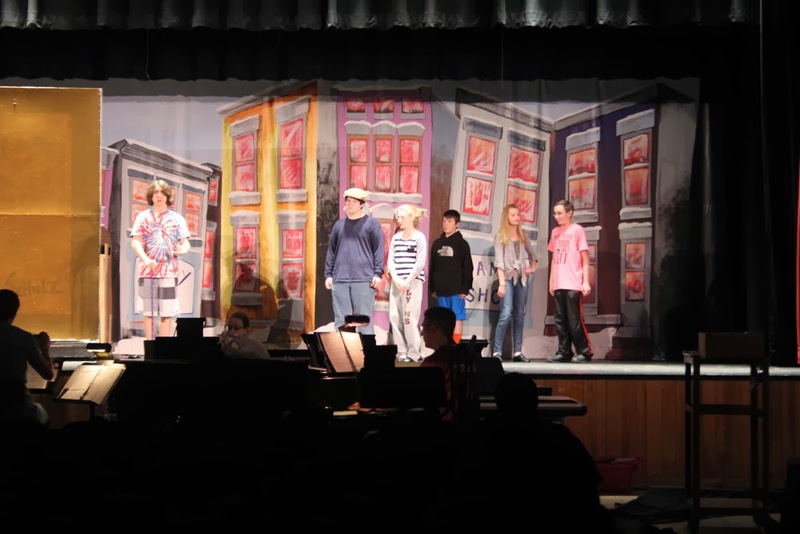 Five children find the golden tickets: Augustus Gloop (played by Logan Smith), Varuca Salt (played by Alyssa Wlodarczyk), Violet Beauregarde (played by Michaela Shaffer), Mike Teavee (played by Travis Anstee), and Charlie Bucket (played by Ethan Salerno). Once inside the factory, the five children are put to the test to see if they are deserving of the lifetime supply of chocolate. They will also encounter Oompa Loompas and squirrels, played by Scott Norris, Elizabeth Schneider, Aria Smith, Jasmine David, Hannah DeCracker, Kenzie Alexanian, Holden Nesbitt, Tim Watson, Seth Nesbitt, Alyssa Larkin, Shayla Prosser, Hollie Parrish, Emily Petty, Andrew Norris, and Ryan Bantel. Come see how the story ends!! 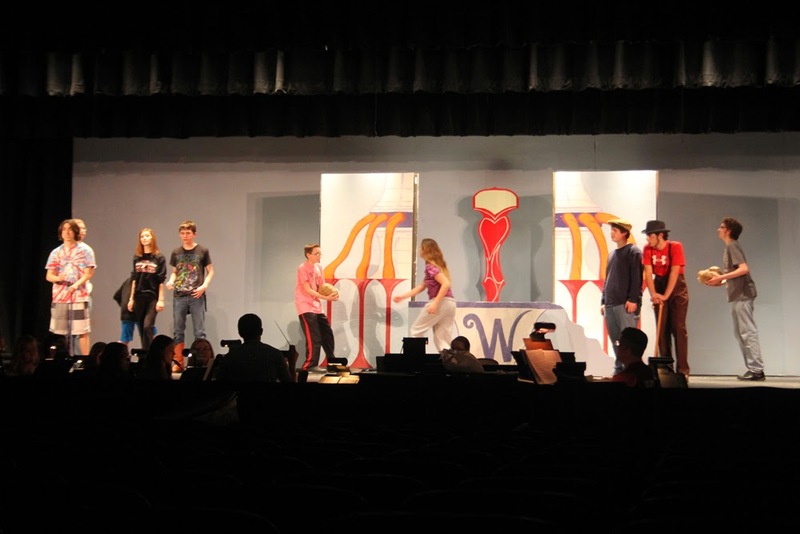 The show involves around 54 students in the cast, pit band, and stage crew. 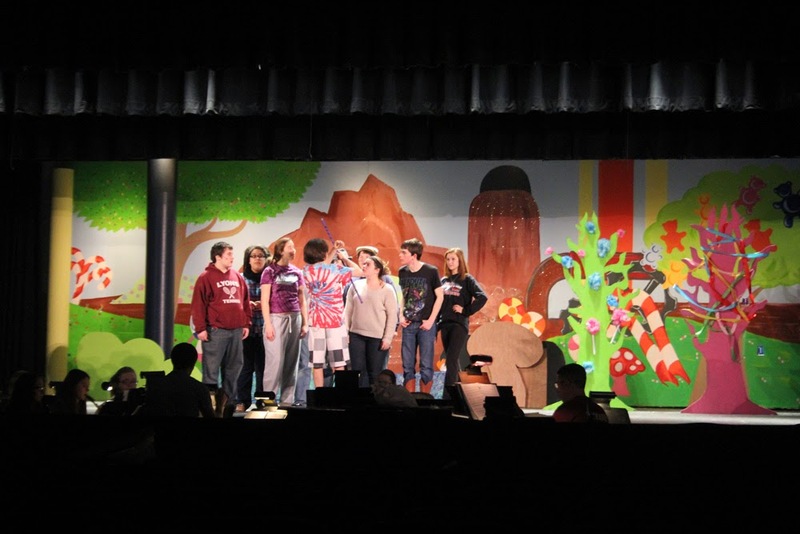 Willy Wonka will be performed on March 14 and 15 at 7:30 pm and March 16 at 2:00 pm in the Earl Buchanan Auditorium. Tickets can be purchased in advance at the High School Auditorium March 8: 11am-3:00, March 10-13 Mon-Thurs: 6:00-8:30. They are also available at the door. Prices are: General Admission: Adults $6, Students/Seniors $5, Reserved $8. They are $1.00 more at the door. 0 Comments to "Willy Wonka at the Lyons High School on March 14th and 15th at 7:30 p.m. and March 16th at 2:00 p.m.."